You’re probably already aware of the fact that you need to pack an emergency kit whenever you are traveling, especially during the winter. When that travel involves an RV, you’ll need a few extra items that wouldn’t be necessary if you were traveling by automobile. 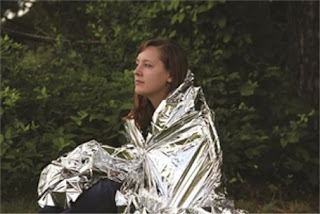 Here are some camper supplies and parts that should be included in your RV emergency kit in order to ensure you are prepared for any situation that arises. Flashlight with extra batteries or a lantern. Fully charged cell phone, the PowerQube is a great way to make sure your phone is always charged. Waterproof matches for starting a fire to keep warm. Blankets and extra clothing, an emergency blanket would also work great. Kitty litter or sand for traction if you get stuck somewhere. Wheel chocks to keep your RV from rolling away. 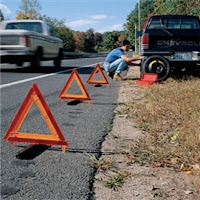 Emergency tire repair kit, like fix a flat or plugs. Although not required, you may want to have some additional items on hand just in case you find yourself needing an extended stay at an RV park while waiting for parts to arrive or waiting on a tow truck on the side of the road. For example, having a few lanterns and some games, like dominos on hand can help you pass the time while you are waiting. Here at the RV Upgrade Store, we have everything you’ll need to make RV traveling a breeze. To see the selection of items we carry visit us at RVupgrades.com, if you have any questions please feel free to contact us. Labor day weekend is almost here. Hopefully you have planned an incredible trip in your RV. It's so much fun to visit places you've never been before and try to see every last corner of the United States. If you feel like you have already purchased all the RV accessories you could possibly need for your next trip, there may still be one or two really unique accessories you haven't thought of yet. 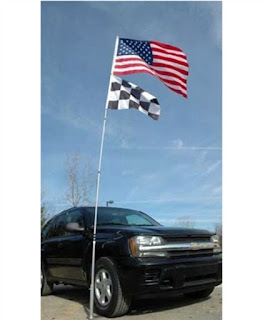 For instance, have you ever considered adding a flag pole to your RV? We have a large selection of flag poles for you to choose from. When you have a flag pole on your RV you can proudly display the American flag over patriotic and military holidays. If you have served in the military, we also sell Navy, Coast Guard, Marine, Air Force and Army flags that you can proudly display, letting everyone know that you served your country valiantly. If you order your flag pole right away you should be able to have it all installed and ready to display by Labor Day, another holiday that is coming up on September 11, 2015 is Patriot Day which is another great day to fly the flag. Any day is actually perfect to display a flag at your campsite. Adding a flag to your RV is a way for you to personalize your RV, and it is also a way to take your patriotism on the road with you during all your traveling adventures. No matter what needs you may come across in your traveling adventures, we're sure to have the accessories that will make your trip simple. Please contact us with all your RV needs. Whether you are parking your RV, camper or trailer at a campsite, at home or in storage for the winter, you always want to make sure there is no possible chance that the vehicle will roll away. Besides putting on the parking brake, there are many RV accessories out there that are made specifically to prevent this. 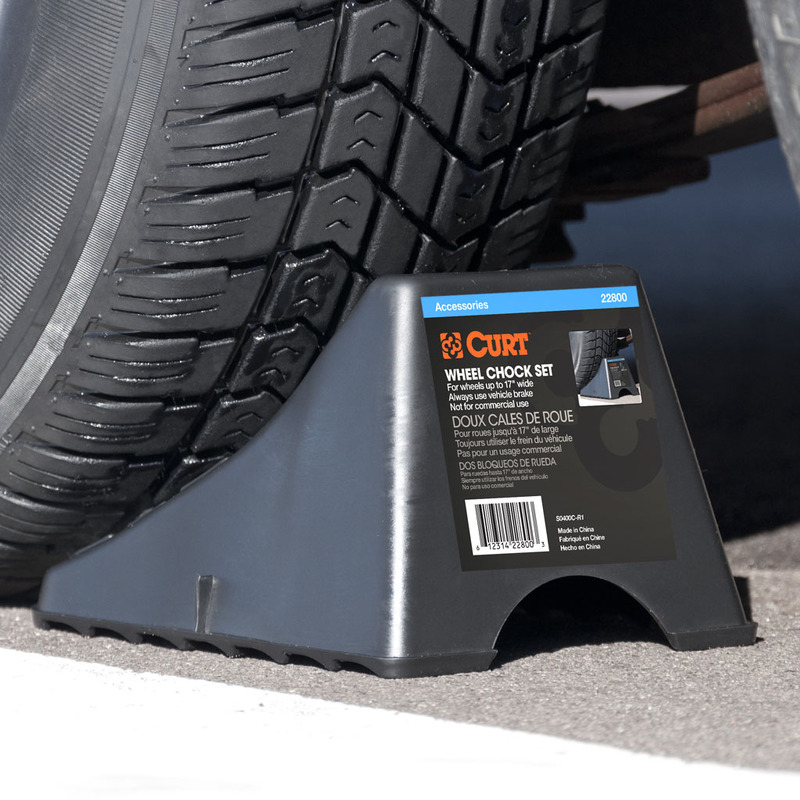 So if you are tired of worrying about your tires shifting, check out our wide selection of wheel chocks and locks. What is the difference between a standard wheel chock and a locking chock? The standard chock can be used with just about any vehicle, it is a ramp that is placed directly behind the wheel, preventing the tire from rolling. 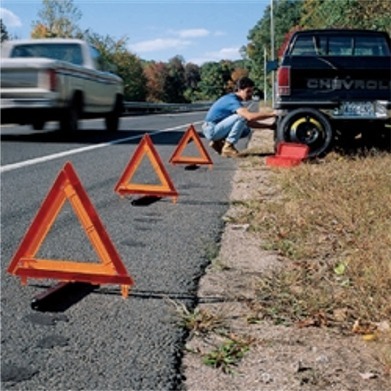 Depending on the material that the chock is made of will determine what type of vehicle you can use it on. If it is a plastic one you may only want to use it on a smaller trailer or camper, but if it is made of metal then it can be used on larger trailers, campers and RVs. The locking chocks are more for the trailers with the double wheels in the rear. Just place the chock in between the two tires tighten it down and then lock it into place. 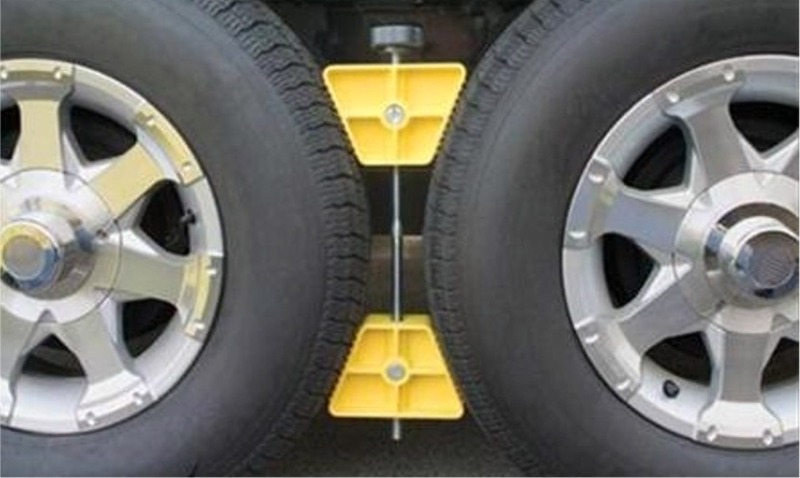 This will secure both of the tires at the same time, giving it added security. Another neat product for trailers to help prevent rolling is the dock. It is like a chock but is for the tongue wheel. It goes directly under the wheel, locking it in place and also prevents dents in the driveway or the tongue from getting stuck in the mud. If you have any questions about these products or would like more information on them, please feel free to contact us. Washing your RV can be a chore and without the right cleaning supplies, it can make this job very difficult. Your RV is probably tall and you can't possibly wash it by hand from the ground, so what do you do. Some people choose to use a ladder, but that can be tiring, going up and down constantly to reach the top. So if your tired of this, check out all the adjustable telescoping accessories we have, to make washing your vehicle more simple. One of the best products for making this task easier, is the Adjustable Telescoping Flow-Thru Wash Brushes. They are made by a few different manufacturers including Camco, Adjust-A-Brush and Mr. Long Arm. With this brush you don't have to worry about the hose because it can be attached to the handle and has an on and off switch to control the water. So all you have to do is suds up your RV, then flip the switch and rinse while scrubbing at the same time. If your the type that likes to have different head attachments to perform different duties, then maybe you might want to go with a standard adjustable pole and buy the individual heads. There are many including a variety of brush heads, mops, squeegees and much more. 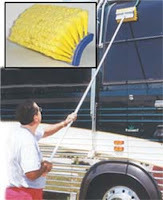 Another telescoping product that works great is the squeegee. It adjusts to the size you need and is perfect for removing the excess water off of the windows of your RV, so you don't end up with streaks when it dries. Now that you know these products, the last thing to consider when trying to make this job easier, is which chemical solutions you want to use. Each cleaner has specific uses and what they are able to clean, by using the proper ones you will remove dirt and grime much faster. If you are not completely sure as to which ones to buy you can always start out with the Best 5 Piece RV Cleaner Starter kit that comes with everything you need to keep your RV clean. To find out more about these cleaning accessories and determine which ones are the best for you, please feel free to contact us, our customer service representatives would love to help.